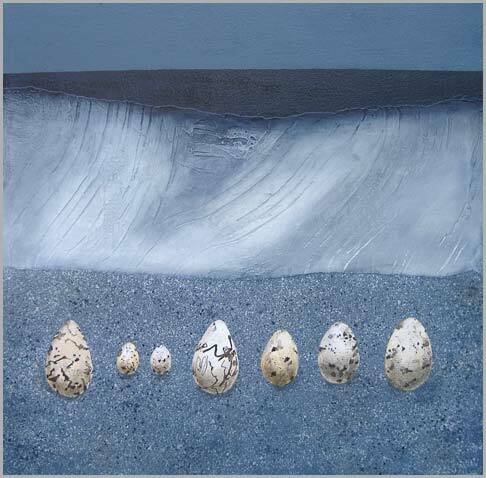 Inspired by a ‘nest’ of eggs in a huddle of stones in Sutherland. Unlike in the painting, the eggs were perfectly camouflaged. Gesso with oil glazes on canvas. Size: 52x52cms, framed.